FUE Hair Transplant services using NeoGraft is one of the most exciting and exact methods you can enjoy for realistic, natural hair growth to solve any hair loss problem. Hair loss is a difficult problem for many men and women. Receding hairlines, thinning hair and balding patches can all be treated successfully with FUE hair transplants. 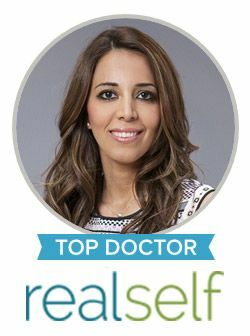 Dr. Sanaz Harirchian, M.D., board certified plastic surgeon in Houston, is a specialist with the FUE Hair Transplant using NeoGraft and other non-surgical procedures. The FUE procedure is highly specialized and the doctors who provide the treatment are professionally trained and experienced using the method. Using this precision technology, select follicles can be harvested and then implanted wherever they are needed. There is no incision, no stitches and no scarring. It is the premier hair transplant procedure available. The pricing of FUE hair transplant with NeoGraft is determined by the number of follicles needed for the chosen transplant. This pricing creates an affordable option for anyone who is ready to start back on the road to a fuller head of hair. The secret to the incredible precision and speed of Dr. Harirchian’s FUE treatment is the Neograft Hair Transplant System. This is the technology that sets Dr. Harirchian apart. The Neograft Hair Transplant System is the incredible technology that makes the true difference in FUE hair transplants. Dr. Harirchian, MD, can actually extract up to 3000 follicles in a single session. Air pressure and suction provide the power to perform the extraction. Most recipients consider the Neograft FUE a next day surgery, returning to their normal life the very next day. The best part is, there is no scarring left behind, leaving you without signs of a graft. This air pressure extraction is highly customizable. Follicles are extracted with care and implanted with precision. The technology can be used with all hair types, including curly. It is the least invasive and most customized treatment available. Contact our office today to set up an appointment with Dr. Sanaz Harirchian, M.D. See how your entire look can change overnight.